China must create a supportive policy environment that empowers operators to work with other sectors to innovate and launch 5G services faster, according to a report released by the GSMA in partnership with the Global TD-LTE Initiative. 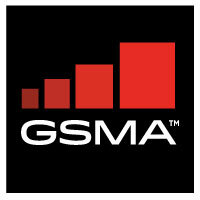 “China’s leadership in 5G is backed by a proactive government intent on delivering rapid structural change and achieving global leadership – but without industry-wide collaboration, the right incentives or appropriate policies in place, the market will not fulfil its potential,” commented Mats Granryd, director general, GSMA. “Mobile operators should be encouraged to deliver what they do best in providing secure, reliable and intelligent connectivity to businesses and enterprises across the country,” he added. The report, 5G in China: The Enterprise Story, draws on interviews with China Mobile, China Telecom and China Unicom and explores vertical sectors where 5G will play a key role, particularly automotive, drones and manufacturing. It highlights the risks of allocating spectrum to different verticals directly, which will lead to potential fragmentation and inefficiencies, and encourages governments to continue to assign spectrum to operators, who can apply their experience in driving spectral efficiencies for the benefit of the wider industry. To facilitate the introduction of autonomous driving, the report calls for China to promote the development of legislation for areas such as car-hacking and data privacy. “New policies should be pro-innovation and pro-investment to encourage future developments in the sector. All three operators are currently trialling 5G autonomous driving and working on solutions such as cellular vehicle-to-everything (C-V2X) for remote driving, vehicle platooning and autonomous vehicles,” it stated. The report also recommends common standards for connectivity management in the drone market to help accelerate investment and the deployment of new infrastructure and service models.